Ditto’s brother, Ch. Telltale Scruples, also played an integral role in the Telltale breeding program. 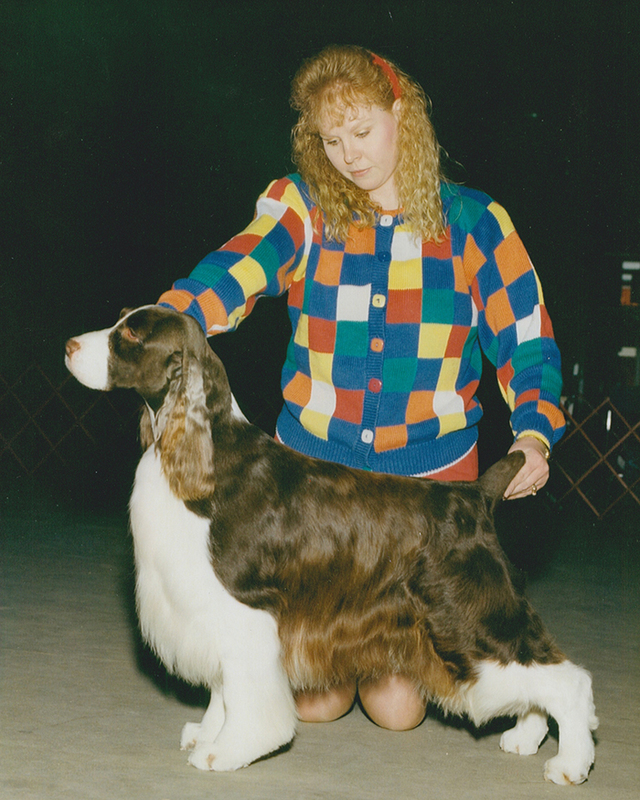 He is the sire of many notable Telltale dogs including Ch. Telltale Eclipse, Ch. Telltale Forecast, and Ch. Telltale Scrabble. When bred to Ch. Telltale Royal Promise, he also produced Ch. Telltale Royal Society who was a specialty winner and Best Puppy at the Eastern specialty under Michelle Billings. He has also influenced other outstanding kennels such as Eldamar, Kenningston, and Wil-Orion.